Countertop. Kitchen. Granite. Marble. Quartz. Quartzite. 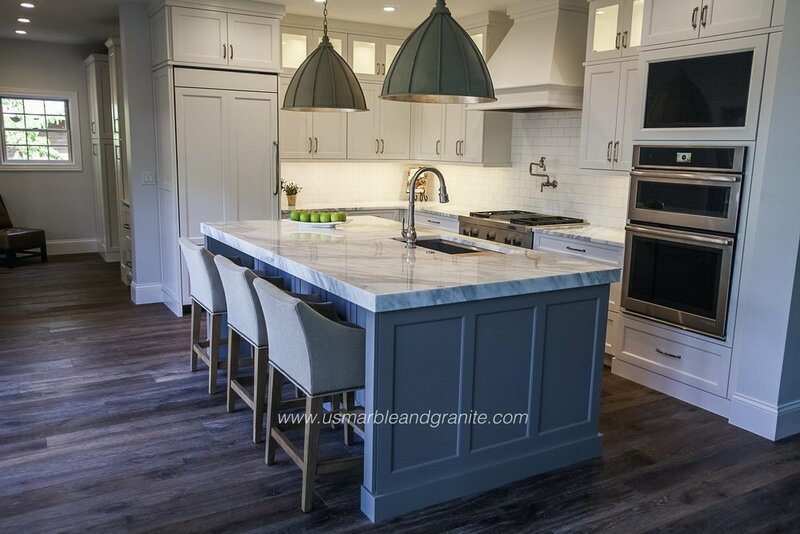 US Marble & Granite fabricated & installed this beautiful Marble kitchen counter top in Springfield, IL. We have hundreds of colors for you to choose from. We also have a huge selection of remnants. Come see the best at US Marble & Granite. No appointments are necessary when you visit US Marble & Granite. Go to our "Getting Started" page to learn more! Learn how to get the ball rolling with your project here. Call, email, or stop by. See what our wonderful customers and friends are saying about US Marble & Granite's award winning service and products. Our quality fabrication and craftsmanship is unmatched.